Early in 2013, I shared my heart to live in commUNITY with the body of Christ. It is still fresh in my Spirit and I see the idea of Doing Life Together with the body of Christ becoming an anthem to believers near and far. Being in commUNITY with others is not passive. It requires intenality. Merely being in the same room with someone is not the same as communing with them. How often have you heard others around you express their utter loneliness dispite being surrounded by people? I have heard it too many times. So what does commUNITY look like? To me it is heart-UNITY. Recently I was privileged to spend the weekend with a fabulous group of ladies. From the moment we arrived we could feel the love that had been preparing to receive us for over a month. My friend's home was warm and inviting. A beautiful table was set for our dinner and inviting fragrances fill the air. It was a weekend of refreshing, heart bonding, crying, laughing, praying and speaking LIFE into one another. In order for Life to happen, our hostess was intentional in preparing the canvas on which we would paint. As time for us to arrive drew near, she sent us emails of expectation and preview, asking how we would like to spend the weekend and giving us a hint of the wonderful food she would be preparing for us. We could read her enthusiasm in the words she sent and we knew prayers were already covering our time together. We knew that our time together would be time in the presence of good friends, love and that the Spirit of God would meet us there. 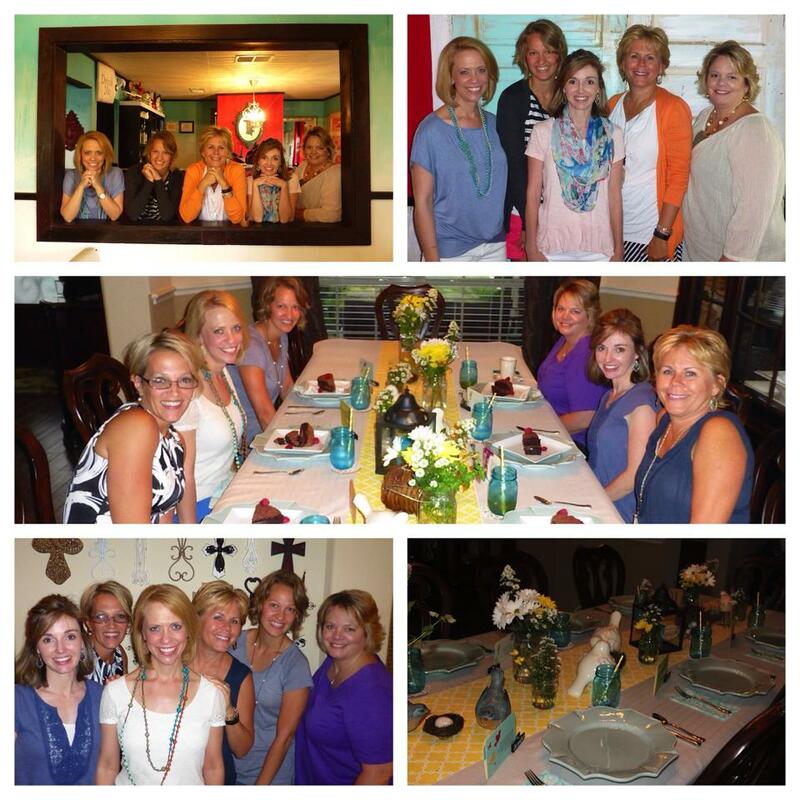 My sweet friend was intentional in helping us to truly be in commUNITY. You see, it would have been a great weekend if we had all showed up to hang out. It would have been fun to laugh about our kids and all be in the kitchen preparing a meal. It would have been fun to just talk about the surface things. But intentionality made the weekend FULL and "beyond what we could thinkor imagine." God is funny like that! He tells us that He longs to meet us where we are. He tells us to link arms with like-minded friends and admonish one another in His truth. He LONGS to love us through the relationships we have in our lives. But we can miss it if we are only surface deep. As we walked through my friend's doors, we were ready to love on one another. We had prayed and been prayed for. The table had already been set for the feast we were to have, both spiritually and physically. We didn't need a lot of time in the shallow end of the pool...no, we dove into the deep and commUNITY happened. I pray that God will help me cultivate commUNITY with those around me so we can dive into the depths of His love and grace together as we "do life together." That I will be intentional in preparing to be with others so the love of God can be felt in our time together. So, how are you living in commUNITY with your brothers and sisters in Christ? Are you spending time with people but staying in the shallow end?